GROHE Concetto kitchen tap – 140° swivel range and medium high spout for total kitchen convenience! 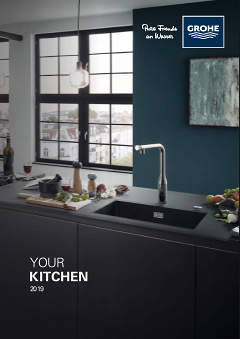 The GROHE Concetto kitchen tap is a perfect fusion of practical convenience and attractive design. It comes with a straight medium high spout, which is a good all-round alternative to the high or low spout variants of the same range, with a 140° swivel range. That’s an ideal operating radius that will also prevent the spout from from bumping into any surrounding cupboards or walls. The ceramic cartridges of our GROHE SilkMove technology ensure the control of water flow and temperature is smooth and precise and, thanks to our easy installation system, you'll have the mixer mounted in the blink of an eye. Engineered to GROHE’s trusted high standards, it is finished in a GROHE StarLight chrome coating that will retain its sparkling shine even after years of use.